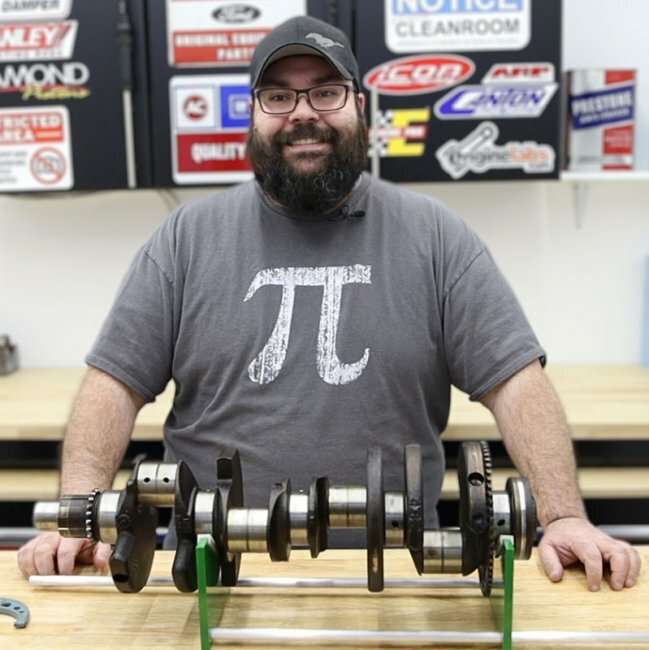 The ability to optimize a camshaft for a specific combination is definitely something that only comes with a lot of education and experience, and that’s why it’s usually left to the camshaft professionals to sort out for the average person. However, thanks to companies like Comp Cams, who prefer to see its customers educated, and enjoy sharing immense knowledge, videos like this one can be brought to you. Obviously, no one is going to be able to spec out their own camshaft – let alone a forced-induction camshaft – after watching a five minute video and reading a single article. However, if you are able to walk away with a better understanding of the challenges posed by the various engine configurations, you’re a leg up on a majority of enthusiasts. Regardless of what form of induction you are using, there are two major factors which need to be considered when determining the proper camshaft specifications: the pressure at the intake valve, and the pressure at the exhaust valve. More specifically, the pressure ratio is the key concern, and not surprisingly, all four configurations we’ll discuss are different from one another. The first configuration is by far the most common, and that is a naturally aspirated engine. With nothing but mother nature’s atmospheric pressure to assist in getting air into and out of your engine, it all falls on the shoulders of piston motion and camshaft specs to make power. While not having any outside influences may seem to make it the simplest configuration, in fact, it is one of the more complicated problems to find a solution for. Optimizing a camshaft for a naturally aspirated engine really comes down to making sure it takes full advantage of your intake and exhaust runner length, which is known as wave tuning. 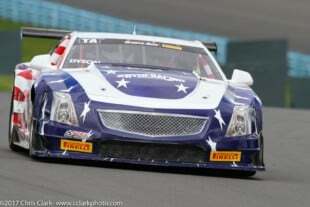 “In a normally-aspirated engine with headers, the exhaust pulse from the exhaust opening travels out as a positive wave. You set the header length so that an overtone is reflected back as a negative wave arriving back at the chamber at intake opening,” says Comp Cams’ Billy Godbold. 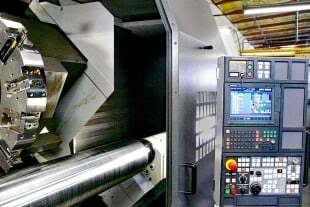 By maximizing runner lengths to camshaft specifications, huge increases in volumetric efficiencies can be attained, with greater than 100-percent efficiency possible in a truly well-developed combination. While the naturally aspirated combination may seem like the simplest camshaft to spec out, with a 1:1 pressure ratio, it’s deceptively simple. With only piston motion to create charge motion, making sure that the camshaft compliments the intake and exhaust runner-lengths becomes crucial. Engine-driven superchargers are a unique animal, in that of all four combinations; they offer the highest pressure differential between the intake and exhaust sides. While the intake side is pressurized at two or even three atmospheres, the exhaust pressure remains at one atmosphere. With the positive pressure on the intake side, you aren’t reliant on piston motion to impart motion on the intake charge, and as a result, you can open the intake valve earlier than in a naturally aspirated combination. You can also run a narrower lobe separation angle than other forms of forced induction, but has to be weighed against the potential to have “blow through” during valve overlap. Supercharging provides charge motion on the intake side, independently of piston motion. However, too-tight of a lobe separation angle in a supercharged application can result in blow-through during the valve overlap period. One thing with supercharged and turbocharged combinations, is that the heavily compressed intake charge loses velocity compared to a lighter, less-dense naturally aspirated charge. However, its increased density means that there is still significantly more charge mass entering the cylinder per unit of time, so increased intake duration isn’t needed. However, on the exhaust side, with the increase in charge mass trying to escape the cylinder, additional duration helps reduce the pumping losses, especially with centrifugal superchargers that shine at higher engine-RPM. Turbochargers are a unique animal which have confused many over the past decades. 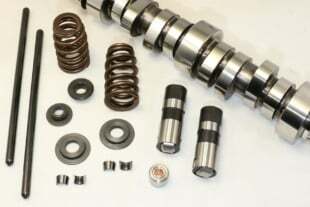 However, between constant advancements by camshaft designers and turbocharger manufacturers, we are in a golden age of turbocharger camshafts. Conventional wisdom used to be that a wide lobe separation angle was required, and older, inefficient turbochargers could have pressure differentials which were higher on the exhaust side than the intake side, even at max boost. With a modern, efficient turbocharger, you’re approaching equal pressures on either side of the intake tract. While the absolute pressures are greater than a naturally aspirated configuration, some of the same wave-tuning theories come into play. Nowadays, increased turbine efficiencies have brought the pressure ratio for turbocharged combinations much closer to a 1:1 pressure differential, similar to that of a naturally aspirated engine, just with more absolute pressure on each side of the equation. “We can use piston motion and some wave tuning to get charge motion at a lower velocity and with less valve timing,” Godbold explains. Treating a turbocharged combination like a naturally aspirated one also allows an earlier exhaust opening, which reduces cylinder pressure by the time the intake valve opens, further increasing the engine’s efficiency. Right off the bat, you may think that a nitrous oxide application and naturally aspirated application are identical. For the most part, that’s true, but there are a couple key differences which must be taken into account. The density of the intake charge is increased with the addition of gaseous nitrous oxide, as well as an additional fuel charge. The increased intake charge density requires enhanced exhaust scavenging in order to draw in the heavier charge. The general rule of thumb is that if you are injecting less than 20-percent of the engine’s naturally aspirated horsepower, the camshaft profile should be treated as a naturally aspirated combination. Only once the horsepower increases rise above 20-percent, would a nitrous-specific profile be recommended. Because nitrous has its largest gains low in the RPM range, the common school of thought is that the camshaft profile should help balance the powerband. This also reduces the notable stress on the components in the lower RPM range while assisting with traction. By adding exhaust duration, opening up the lobe separation angle, and adding intake duration, not only is cylinder pressure lowered but the engine’s powerband is raised. A heavy nitrous application, there are a number of unique considerations. On the intake side, you have standard atmospheric pressure, but a heavier, denser intake charge that takes more effort to draw in. On the exhaust side, you have an significantly increased mass of exhaust gasses (over a naturally aspirated combination) needing to get out of the engine. While we’ve been very general in our explanations, the reason for that is twofold. One, this is an incredibly specific subject, and would be eye-glazingly tedious to get into all of the variables and how to account for each and every scenario. Two, the subject matter itself is so extremely advanced, people far smarter can write books on the topic, and we’re limited to this single article for now. Besides, that’s what the tech team at Comp Cams is for. They can help point you towards the right camshaft profile, whether it’s on the shelf or a custom grind.